I hate to crush your hopes and dreams but I need to tell you the truth. Hence, it is natural for a starting freelance writer to make mistakes and I am going to reveal it all in this article—the uncut version. Ready your chips, drinks, and box of tissues because this will be intense. I suggest reading this inside your room or a private place because you will be groaning a lot from—displeasure. Hah, what were you thinking? As an online freelance writer, your target clients will not only reside in your country. You can offer your writing services globally to different countries and nationalities. A business’ website is like a virtual office. Where would your clients go if you don’t have your own space in the web? You may settle with job boards and set up your own profile but you won’t get noticed easily because of the competition. With this in mind, I suggest that you should have your own website before you venture into the unknown. It would save you time, and you may focus on hunting clients and promoting your work. Do not follow my example. My first months as a freelance writer were spent creating my website which I developed on my own. Social media is for all ages. Businesses are taking advantage of it as well. Take note that your personal accounts should be separated from your work. It should resonate or reflect your business and professional to boot. For this reason, create new profiles of selected social media platforms that would benefit your business. A good start is with LinkedIn, Facebook, Twitter and Google+. If you have images to share, choose between Instagram or Pinterest. Clients will ask for sample works. Period. They may ask you to submit previous clips or request you to write a new one. The latter would not be a problem—oh—it is not paid though. Otherwise, collate all your recent write-ups and upload it in Google docs. Or there’s a professional way to do it. I’ve used Carbonmade and Contently where you can create a professional online portfolio. In this way, you could avoid this common freelance writer mistake. I’ve mentioned before that there would be a possibility to acquire clients abroad. How would they pay you for the services you’ve rendered for them? It is via online payment systems like PayPal, Stripe, Payoneer or Transferwise. Each payment systems have pros and cons but there are three factors you should consider. First, it is available in your country. Second, check how much it charges and if it has better exchange rates. Finally and above all, it should be secured. Expect that during your first months or rather the first year, money would be difficult. I could vouch for this. This is quite understandable because I’m a new blood, and so are you. Make sure you have savings before you leave your day job. How much? I would suggest a year worth of your income. Nope. Trust me. Your savings would be the best fallback solution you could rely on while you establish yourself as a freelance writer. You still have bills to pay, right? Start saving now. A person who is hired to provide services to a company on regular basis in exchange of compensation and who does not provide these services as part of an independent business. Did you read the last two words? Independent business. That’s what you are – a solopreneur. 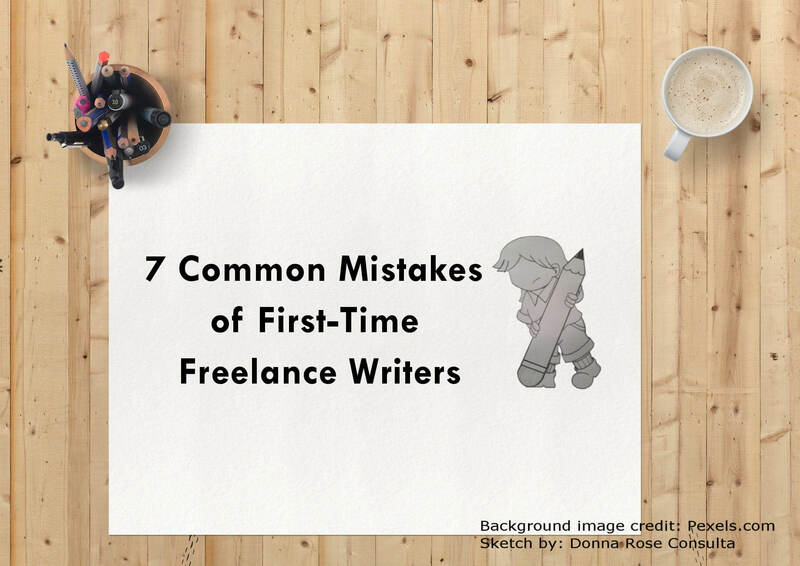 First-time freelance writers often mistake themselves as an applicant rather than a independent contractor or consultant. Change your mindset that you’re no longer a salaried employee. You are now running a freelance writing business. Most writers, whether experienced or not, would shake their heads in disapproval when it comes to content mill sites. What is the nature of these sites? Offers cheap website content and pays very low fees to writers. Sure, you may get a gig or two but it would not improve your career in general. The truth is I’ve tried some and I am not contented with it. I had to fight tooth and nail to get a gig because there are thousands, if not millions, of writers out there competing for the same low-paying gig. After two months, I’ve realized that it is not the path I want to continue for the rest of my writer life. If you’re still with a content mill, I know what you’re feeling or experiencing right now. At first, you might be hesitant to abandon mills for the fear of losing gigs or income. Nevertheless, it would not hurt to gradually close that chapter of yours and begin a freelance writing business you would be proud of. As was previously stated, it is alright to make mistakes during your first months of being a freelance writer. It will not be a joyous experience. However, you will learn a lot from it that would help you to transition from being a beginner to an experienced freelance writer.